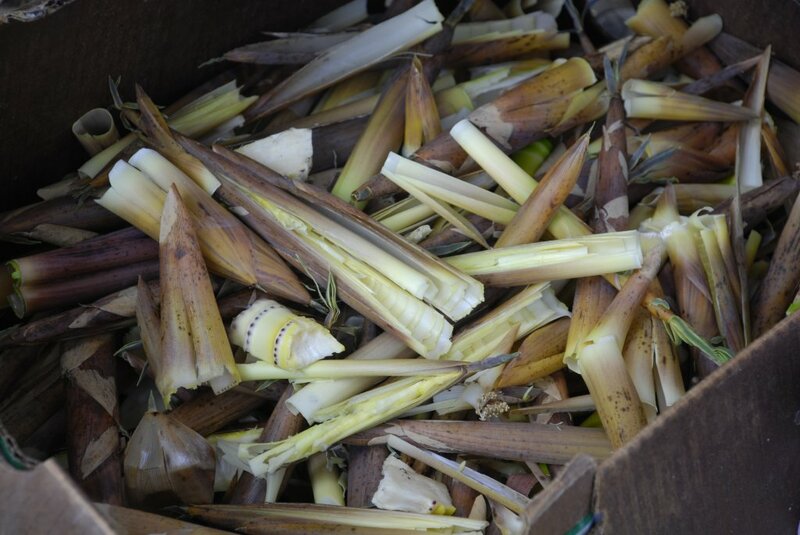 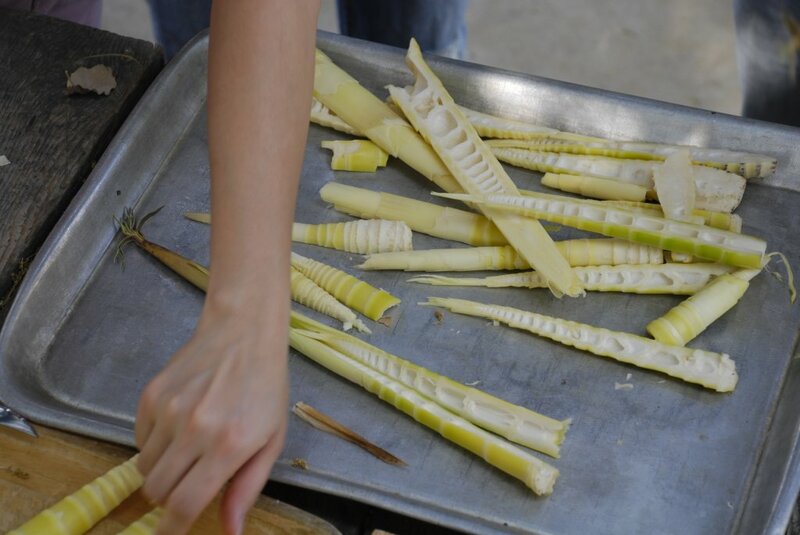 It’s now bamboo shoot season. 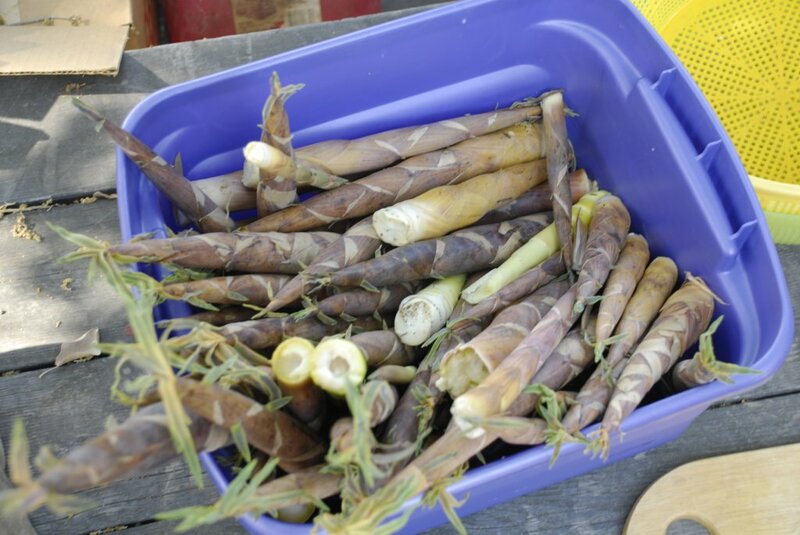 From the way it looks, this is probably golden bamboo, Phyllostachys aurea. 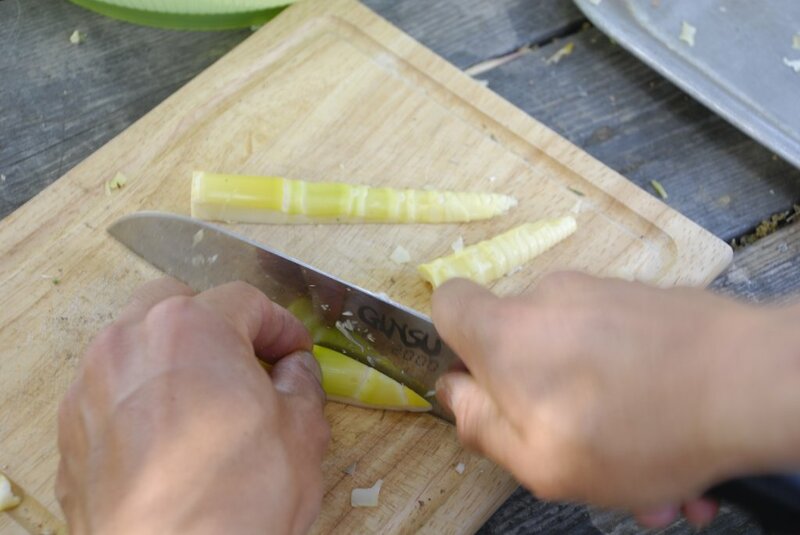 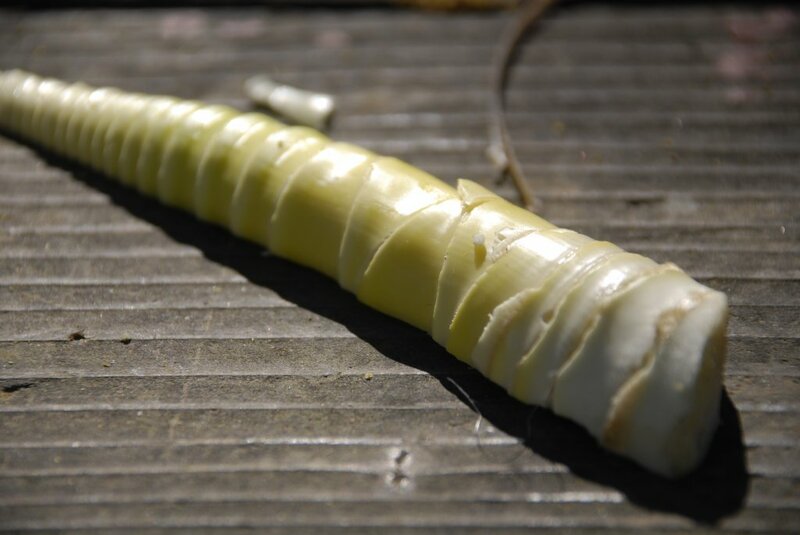 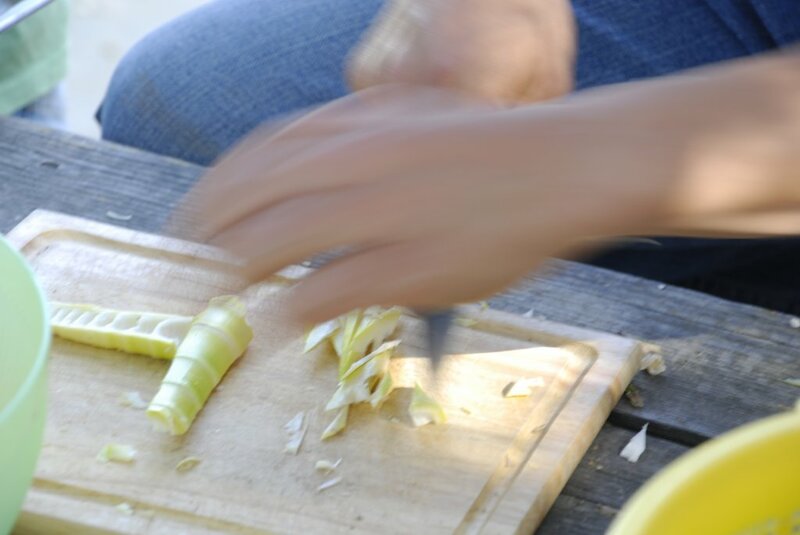 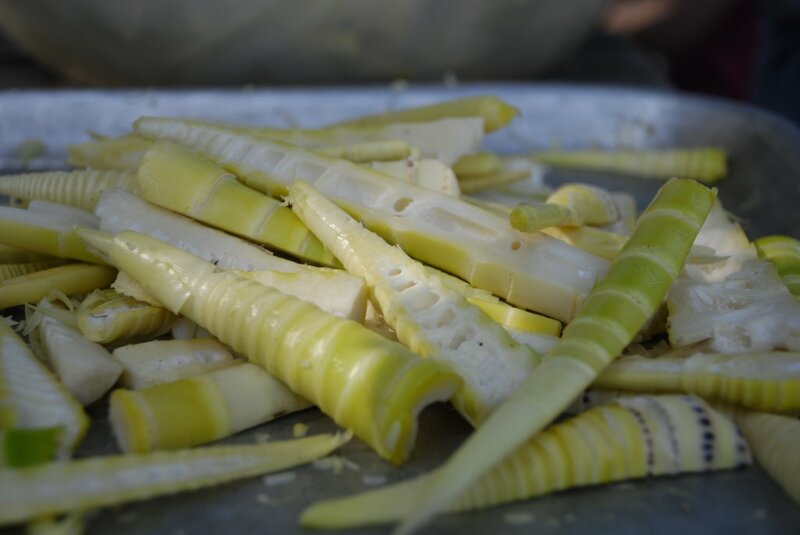 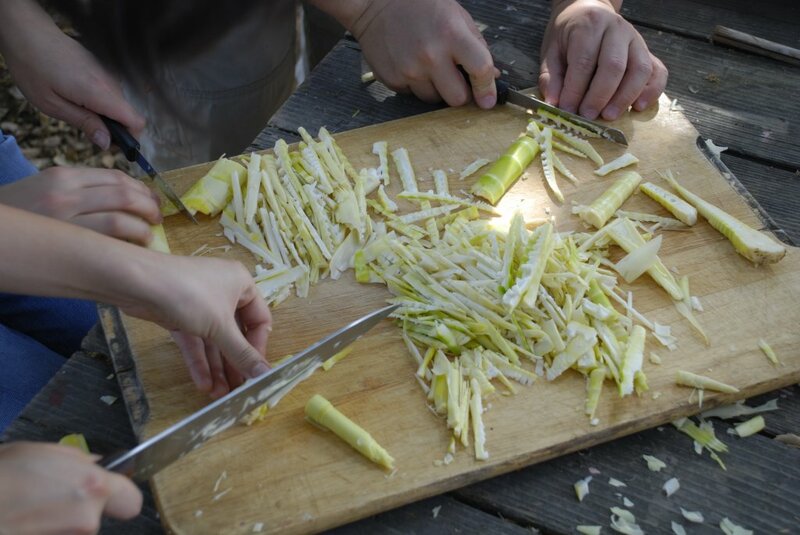 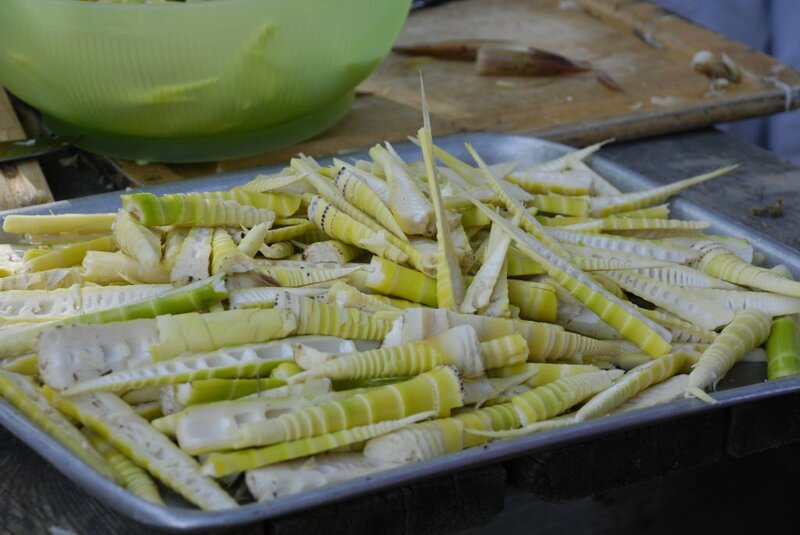 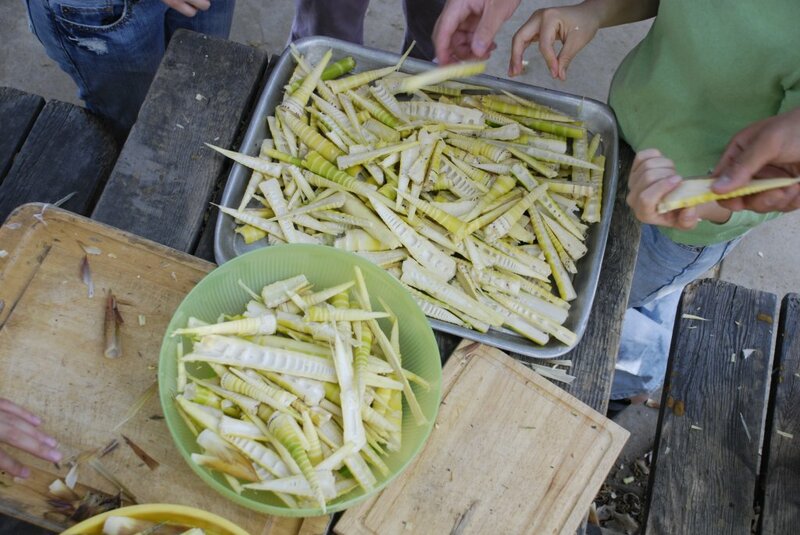 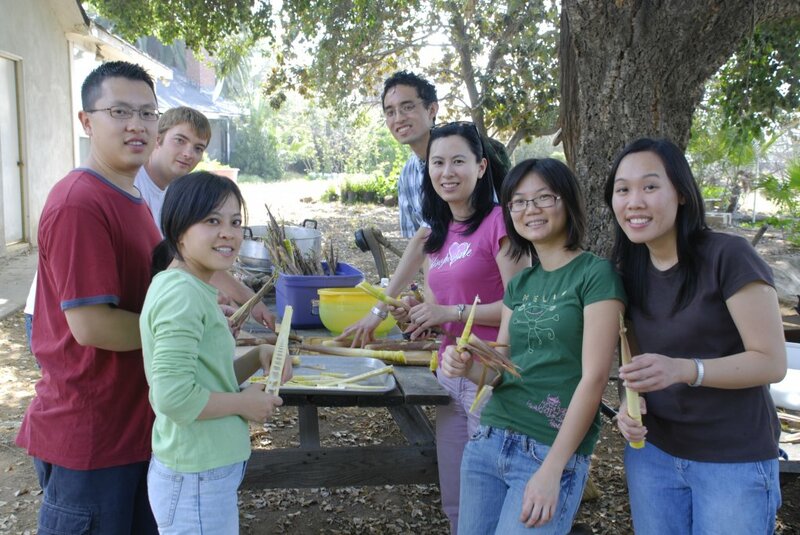 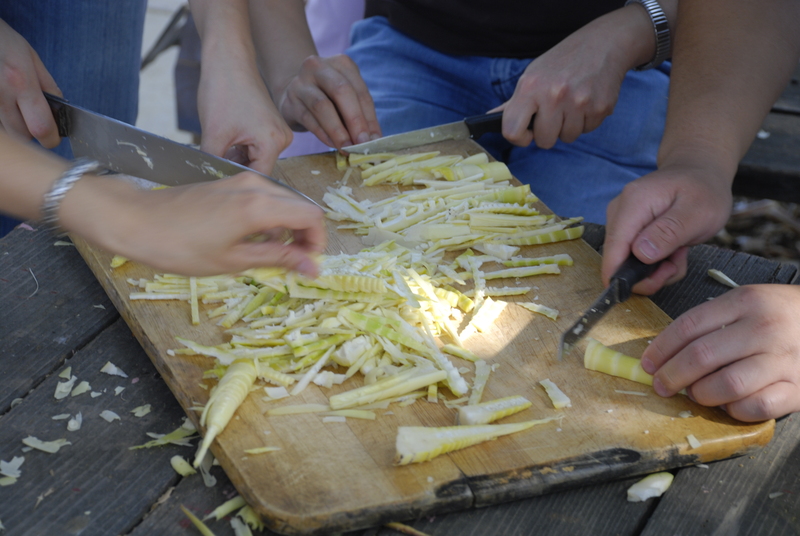 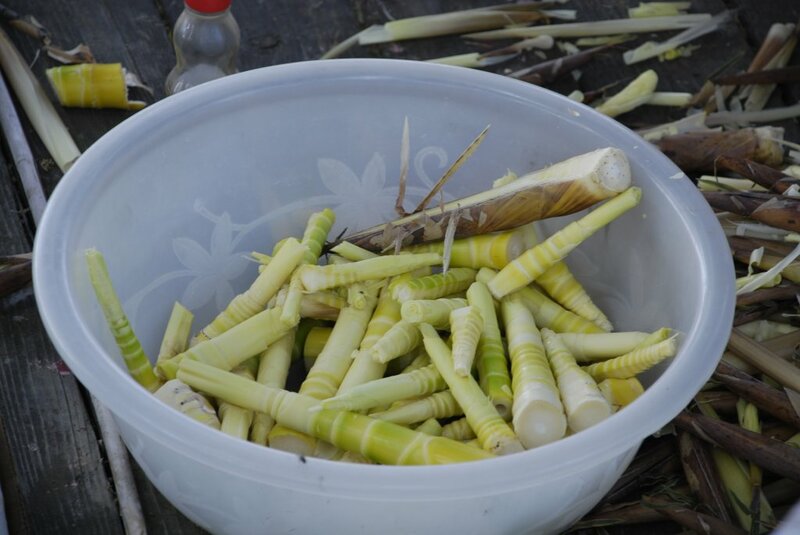 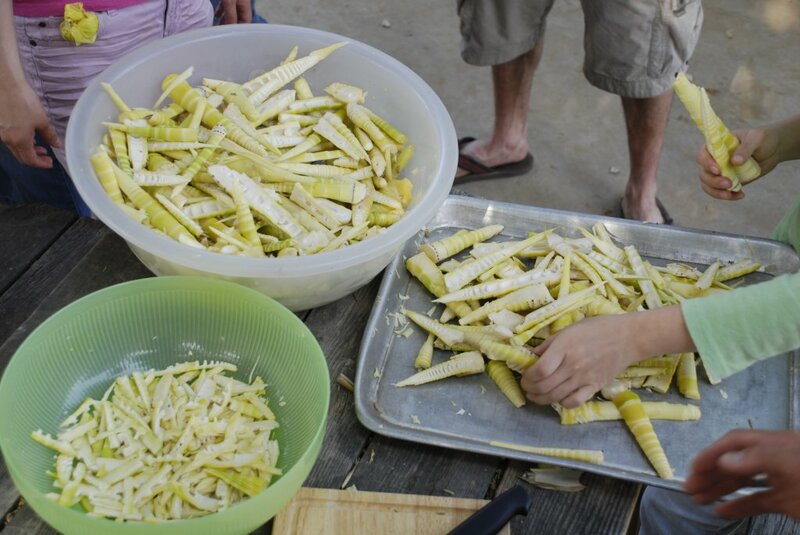 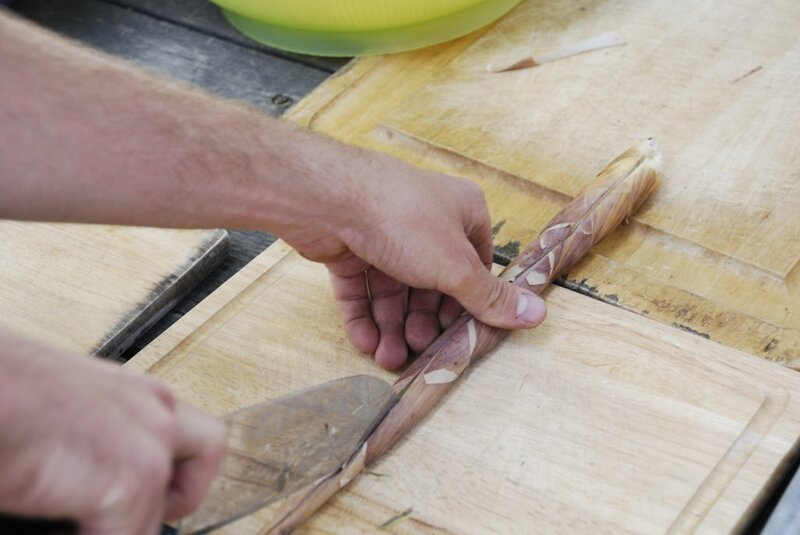 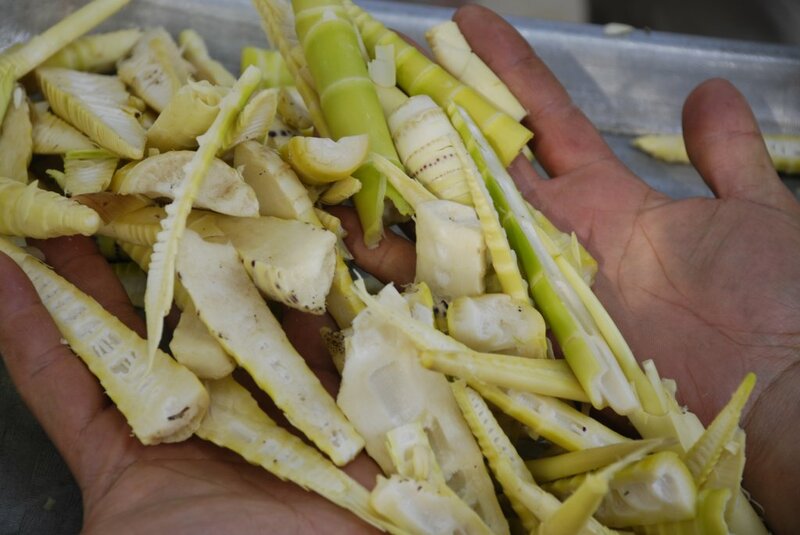 After picking, slicing, peeling, and blanching, we made bamboo shoot salad.